Acting Executive Secretary, United Nations Economic Commission for Africa. African countries have made considerable progress in the past decade and half. However, conventional analyses of progress or lack thereof in Africa have focused on either political or economic trends separately. Seldom are the twobrought together, and even much rarer is the case when the political stability, organisational capacity, and scientific and technological dimensions are combined to offer a comprehensive rather than a fractal view of the prospects of individual African countries. By integrating the stability, organisational,and scientific and technological perspectives, it is possible to gain considerable insight into the factors that will shape the futures of African countries and, more importantly, present a composite picture of the progress of each country.Such an approach will obviate the wild swings between "Hopeless Africa”, "Africa Rising”, and "Africa Reeling” narratives. 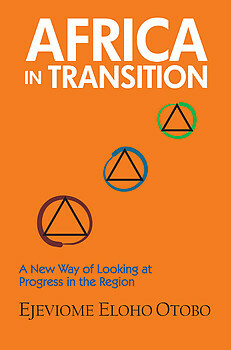 Thus, the triple transitions and triple deficits frameworks, examined in this book, represent a new way of looking at progress in the region, inasmuch as they help to highlight the complexity and diversity of the performance of the countries in the region. Ejeviome Eloho Otobo is currently a Non-Resident Senior Expert in Peacebuilding and Global Economic Policy at the Global Governance Institute, Brussels, Belgium. He had previously held the position of Director and Deputy Head of the UN Peacebuilding Support Office (PBSO) at the United Nations Headquarters, New York, where he also acted as Assistant Secretary-General from February-August 2009.